To Kill a Mockingbird presented 400 middle and high school students with a special performance at the Library of Congress on Tuesday in support of Theatre in Our Schools Month, which is held annually in March. The students, from schools in the District of Columbia, Maryland, and Virginia, are members of the International Thespian Society, the honor society for drama students. The group was welcomed by Carla Hayden, the Librarian of Congress, and Speaker Nancy Pelosi, U.S. House of Representatives. To Kill a Mockingbird, Harper Lee’s enduring story of racial injustice and childhood innocence, is one of America’s most popular works of fiction. The entire team of the Broadway production, based on Lee’s classic, jumped at the opportunity to present scenes from the play in the nation’s Capital in partnership with the Educational Theatre Association to celebrate Theatre in Our Schools Month (TIOS). The grassroots TIOS campaign raises public awareness of the impact of theatre education and draws attention to the need for more student access to quality programs that teach collaboration, communication, critical thinking and other important life and career skills. During TIOS, thousands of students and theatre educators have taken that message to their communities, school boards, and elected officials, including today in Washington, D.C. 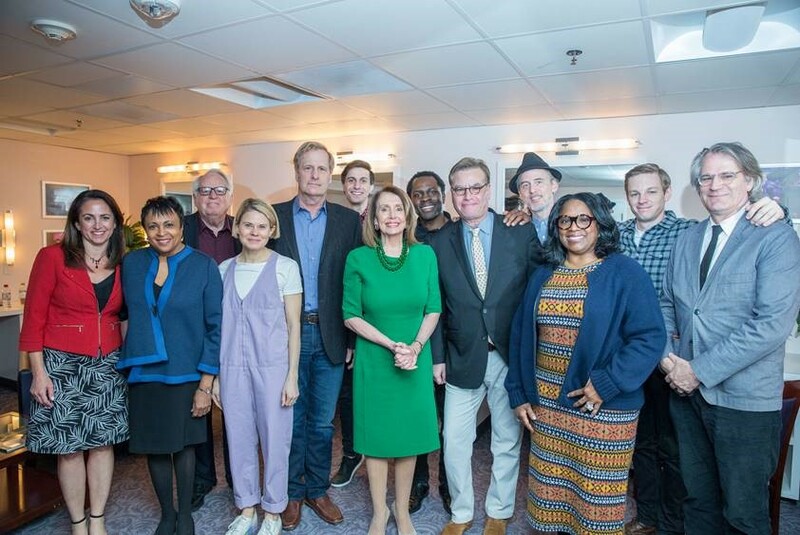 In attendance at the event were playwright Aaron Sorkin, director Bartlett Sher, and the stars of the current Broadway production: Jeff Daniels, Celia Keenan-Bolger, Gideon Glick, Will Pullen, Gbenga Akinnagbe, and LaTanya Richardson Jackson, Neal Huff, Dakin Matthews, and production stage manager J. Jason Daunter, who is also an advisory board member of the Educational Theatre Foundation and former board member of the Educational Theatre Education. To dramatize the importance of TIOS, the To Kill a Mockingbird production awarded Thespian DemocracyWorks essay winner Brannon Evans a $10,000 college scholarship, made possible through a grant to the Educational Theatre Foundation. Evans is a member of Thespian Troupe 5483 at Millard West High School in Omaha, Nebraska. 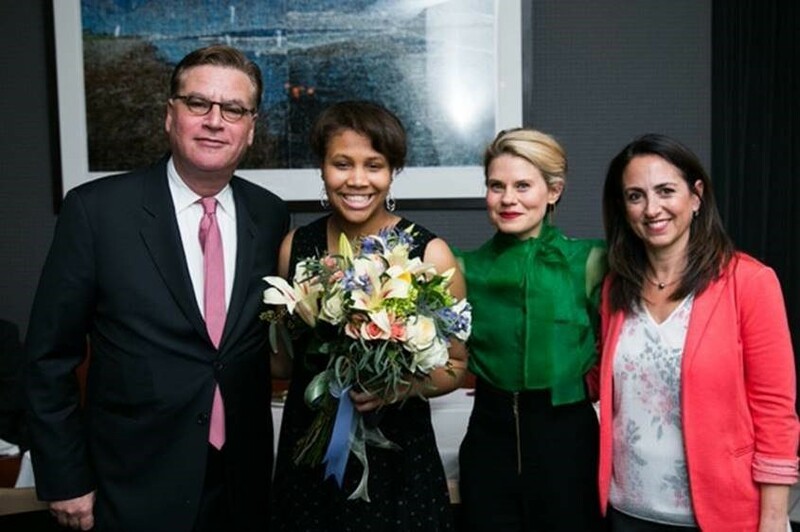 She and her teacher, Brooke Phillips, were present to accept the scholarship from Aaron Sorkin and Julie Cohen Theobald, President, Educational Theatre Foundation. Impromptu, Evans was invited to read her essay to the gathering of elected officials, friends of theatre, cast and the production team. In response to her reading, in addition to enthusiastic applause, on the spot Evans received an invitation from Sher and Sorkin to step in and read the role of Miss Stephanie the next day for a cast member who could not make the trip. She handled the opportunity with great aplomb, earning more applause from not only the audience, but the cast of the production. The preview coincided with the announcement of a national tour of the show which will begin in Washington, D C. in August, 2020.